KSA founder and Washington University in St. Louis alumnus Keith Sherman was featured by the university in a profile on alums making an impact in the theatre community. Read the full article here. KSA founder Keith Sherman recently appeared on SiriusXM Radio to discuss his many experiences in the golden age of the legendary nightclub Studio 54. Check out the interview HERE. Playbill: A DOG STORY Opens Off-Broadway! Congratulations to A Dog Story on its opening tonight! The show, a new musical by Gayla D. Morgan and Eric H. Weinberger, plays at the Loft at the Davenport Theater. See what Playbill had to say about the show’s opening here. A press preview of the new off-Broadway musical Himself and Nora was held yesterday, May 5. See the full coverage at TheaterMania! Two time Tony Award winner Patti LuPone, returns to 54 Below tonight for a limited engagement through April 14. Patti returns with her show, The Lady with the Torch, featuring a collection of torch songs by some of Musical Theater’s best composers and lyricists. 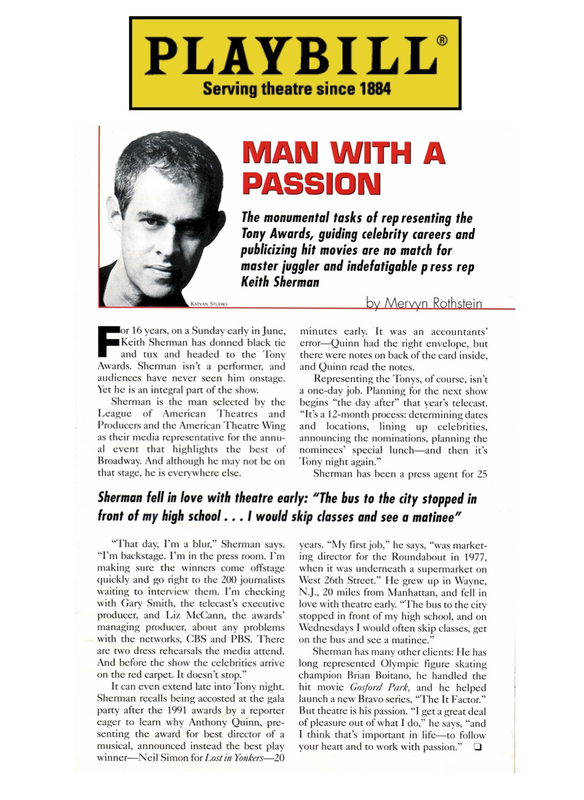 Read the full Playbill article HERE and visit 54Below.com for more information about the club. Tony Award winner Jeff Marx, chatted with Playbill about his unique journey with the new punk rock musical Home Street Home, now playing in San Francisco’s Z Space through March 7. Read the full story HERE and to learn more about Home Street Home, visit HomeStreetHomeOnStage.com. The new rock musical Home Street Home by Tony Award-winning Avenue Q co-writer Jeff Marx, punk rock musician Fat Mike and AVN Award Winning writer/director Goddess Soma, is set to begin performances February 20 at San Francisco’s Z Space. 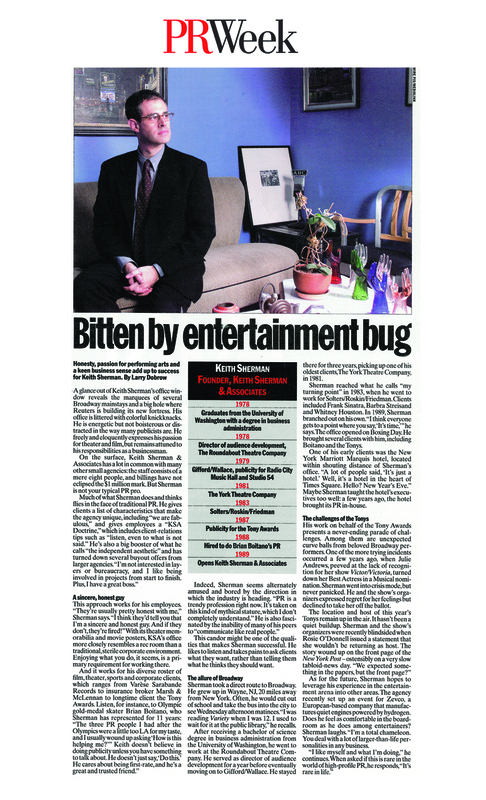 To read the full coverage from Playbill click HERE.